More than 7,000 people on Arkansas' Medicaid expansion didn't meet a requirement that they report at least 80 hours of work in June and face the threat of losing their coverage if they fail to comply sometime before the end of this year, state officials said Friday. Arkansas' requirement took effect last month. Participants in the program lose coverage if they don't meet the work requirement for three months in a calendar year. The Department of Human Services said most of the more than 27,000 people on the expansion program who were notified they were subject to the new requirement were exempt or met the requirement. The federal government earlier this year approved the state's plan to impose the work requirement as part of Arkansas' expansion, which uses Medicaid funds to purchase private insurance for low-income residents. "The first report is encouraging," Republican Gov. Asa Hutchinson said. 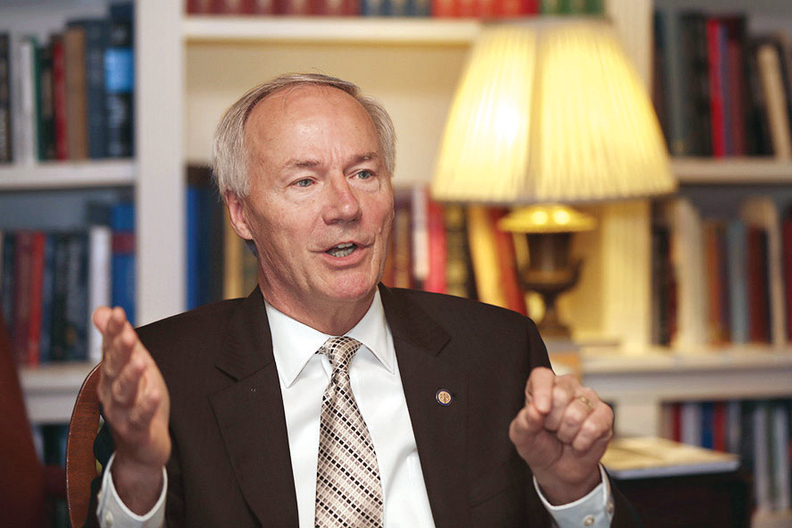 "We are only two months in, and those on Arkansas Works are still learning the system. DHS has worked hard to make sure that everybody understands the requirements and how to comply." Arkansas was the first state to implement a Medicaid work requirement after the Trump administration said it would allow states to require participants to work to keep coverage. Kentucky was the first state to win approval for a work requirement, but a federal judge blocked the state from enforcing it last month. Hutchinson has promoted the requirement as a way to move more people onto the workforce and eventually off of the government-funded coverage. Critics have said Arkansas' requirement may end up punishing participants who are complying but aren't able to report it to the state because of lack of internet access or other reasons. "The figures concern me greatly...We know that 7,000 people have to be made up of more than just the small percentage of people who are not working and who do not meet an exemption," said Marquita Little, health policy director for Arkansas Advocates for Children and Families. About 15,500 of the participants subject to the new work requirement did not have to report because officials had already determined they met the requirement through work, training or were otherwise exempt. Nearly 2,400 reported an exemption since they received a notice from the state in May. Only 445 satisfied the reporting requirement, DHS said. Nearly 280,000 people are on Arkansas' Medicaid expansion. Once fully implemented, the requirement will affect able-bodied enrollees on the program with no children aged 19 to 49 years old. The requirement is being enforced on participants ages 30 to 49 this year and will expand to include those 19 to 29 years old next year.